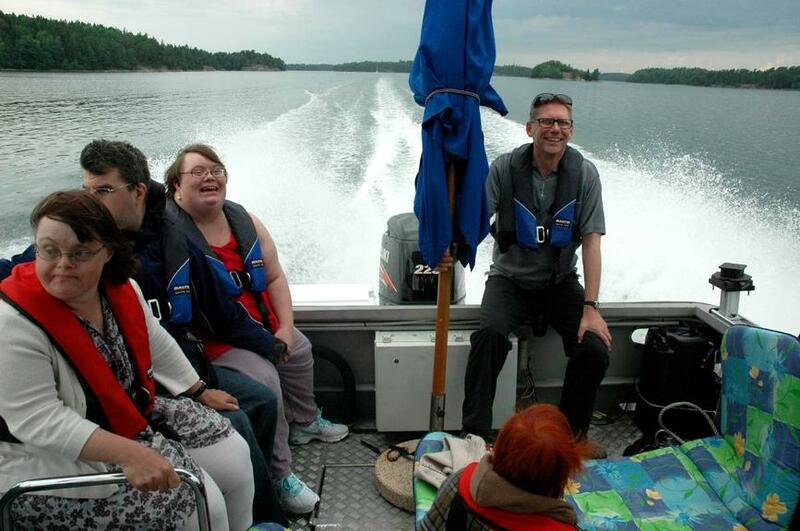 An association for disabled has designed and equipped the harbour and a special boat with equipment making it possible for disabled people to go out in the archipelago of Stockholm for activities such as game fishing, seal safaris and photo tours. After a motorcycle accident, some ten years ago, Jonas Nilsson, the project manager, believed his active life with fishing, boat trips and nature experiences was over. But a few years later he started “The game fishing and leisure time association for disabled.” With scarce resources it was not possible to do so much, but he had a vision for a positive life and secured Leader funding to help realise it. 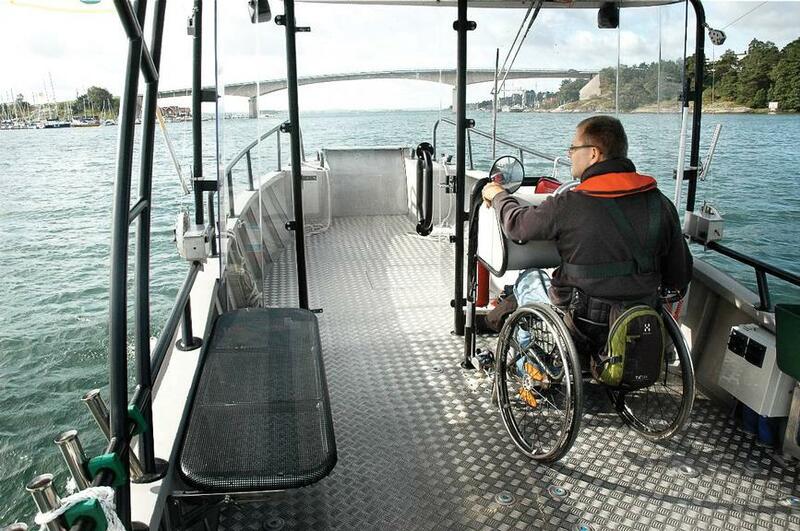 The main activities undertaken were: i) the construction of a pier in the harbour with a ramp for wheelchairs; ii) the purchase of a speciallly equipped fishing boat allowing accessibility for disabled persons including incorporation of a "splash lift". The first summer around 40 boat trips were organised, offering 270 people active nature experiences of seal safaris, game fishing, photo tours, visits to different islands and even swimming in the sea with use of the special 'splash lift'. The project has generated a lot of interest from different organisations even internationally. Mainly through its Facebook site, many requests for information are received. The web site is therefore being made available in English. Involving several associations for disabled and rehabilitation actors in the project group was very successful. It gave them the possibility to positively influence the project, giving advice and support. However, the service is expensive to run and no way to make it financially independent has been found. 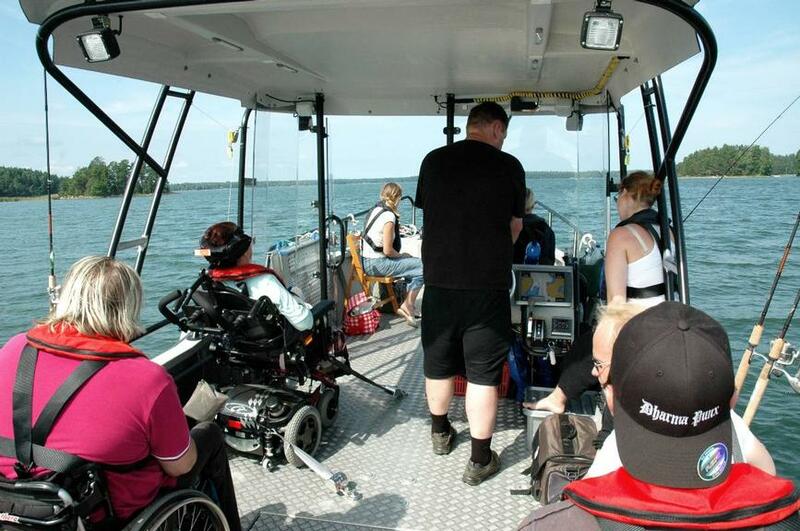 A one day boat tour costs around € 700 per person and none of the disabled users can afford to pay the full cost.